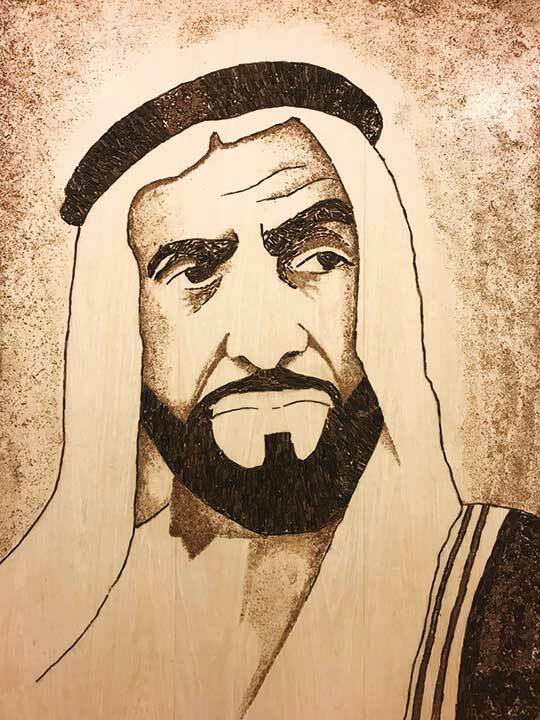 Dubai: More than 100 canvases by a Zambian artist who can neither hear nor talk, an oud and incense stick masterpiece by a visually impaired Arab, and oil paints on etched glass created by a retired American architect. These are the special tributes to the UAE leaders, pouring in ahead of the 47th UAE National Day. 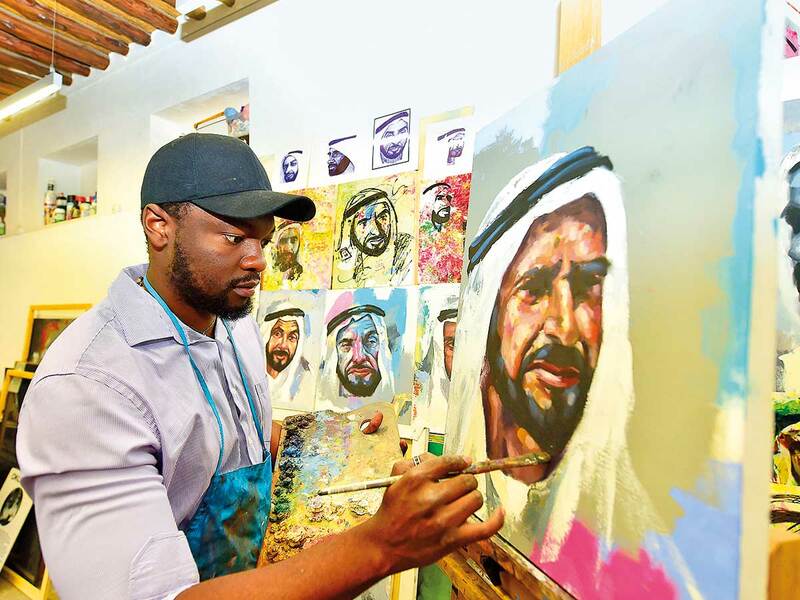 While Zambian painter Victor Sitali’s vast repertoire of portraits of different UAE Rulers will be featured in three separate exhibitions in Dubai starting December 1, Arab artist Abdul Rahman Al Hamoud’s oud and incense portrait of the UAE’s founder Shaikh Zayed Bin Sultan Al Nahyan will be displayed at City Walk on December 2. 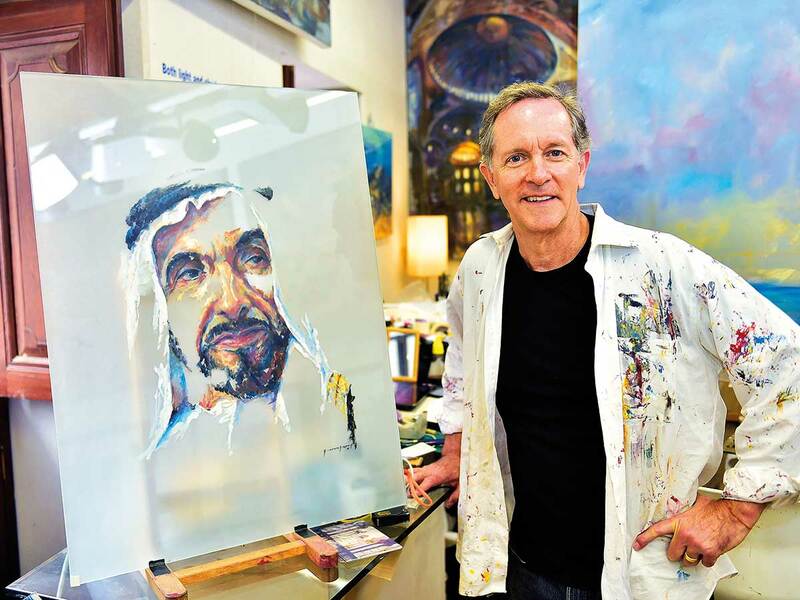 Most of the works of American architect Mike Arnold, 66, who started painting only five years ago, already adorn the walls of some high offices and a five-star hotel in Downtown Dubai. The portrait will be unveiled in City Walk’s main piazza, across from Roxy Cinemas, on December 2.